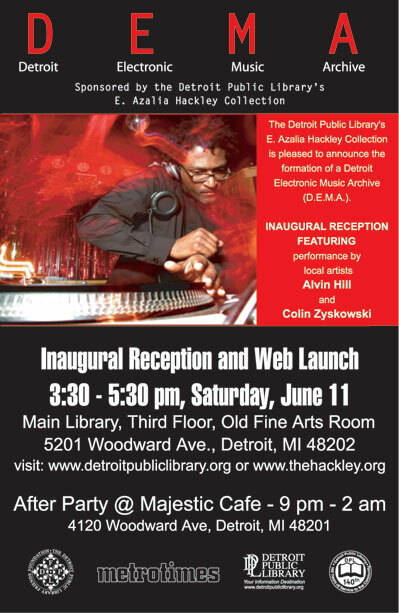 The Detroit Public Library's E. Azalia Hackley Collection is pleased to announce the formation of a Detroit Electronic Music Archive (D.E.M.A.). 4120 Woodward Ave, Detroit, MI 48201"
About this event ,i just can say "congratulations come never too much early!!! "And now it's time for music masters.